WhatsApp is an encrypted messaging platform that has now become ubiquitous and is very extremely popular. Facebook purchased WhatApp for an astronomical amount of $19 billion back in 2014 as Mark Zuckerberg saw the vision for WhatsApp being the “dial tone of the internet.” What does WhatsApp do? Open WhatsApp. It’s the green app with a white phone icon. Open your phone’s Messages App. Tap the message from WhatsApp to confirm it’s you. Now let’s get into the tips on how to introduce it to your child, what to look out for and how to monitor your child’s WhatsApp. Create a Family WhatsApp Group. It will become our family’s private gated online social group. Share pictures, videos, make plans and communicate with family members. A great way to practice the skills required before venturing out into the online social media world. Writing Etiquette: Is the language and writing style that your child is using to your standards? Consider installing Grammarly as a keyboard for your child’s device. Do you see any bad words being used or anything that could be considered bullying? If so, have a conversation with your child about it. If it is serious bullying, involve your school principal or school’s police officer. Schools are remarkably well equipped to deal with these issues. Stranger Danger: Getting into a conversation with a stranger on WhatsApp will not happen automatically as there is no method for anybody to search for your child’s WhatsApp account since you set the Privacy to “My Contacts” so a stranger will have to be added as a Contact on your child’s device. This will require social engineering. 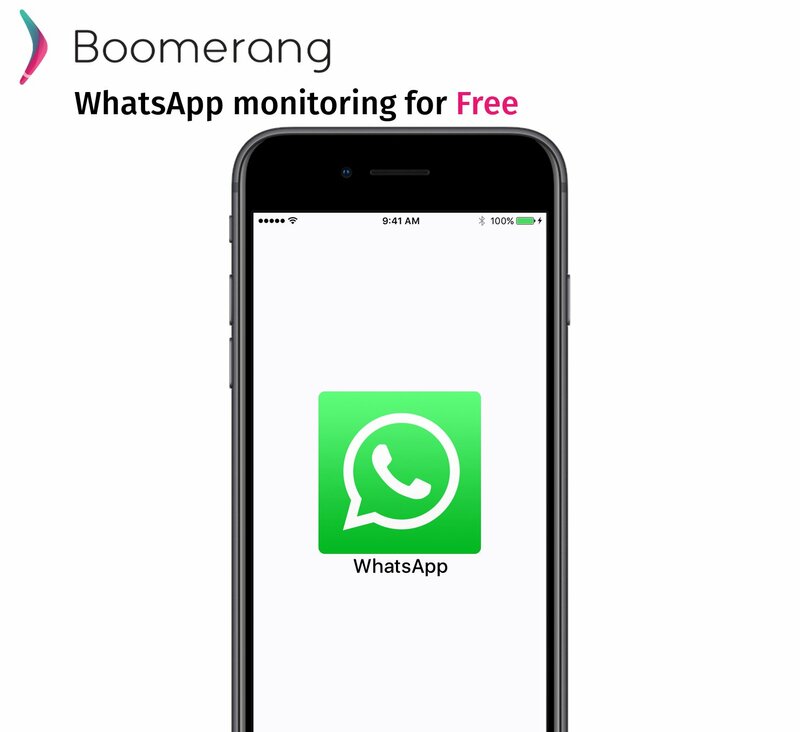 Be aware of all the Apps that your child has installed, the websites that your child visits, and especially ensure that there are no Anonymous Chat Apps & if your child device is an Android, use Boomerang to Approve New Apps. Graduation! Remove the training wheels and stop monitoring your child’s WhatsApp account when the time comes. It’s important to keep this in mind and have a ‘graduation’ process. Remind yourself on the potential horrors of helicopter parenting. Our role is to help you have engaging conversations with your child and raise a great digital citizen. Go to https://web.whatsapp.com/ from your computer’s browser. That’s it. You are now synced with your child’s WhatsApp account and can guide them. Entrepreneur with passion for Kids, Education, Technology and Experiences. CEO of Boomerang Parental Control.